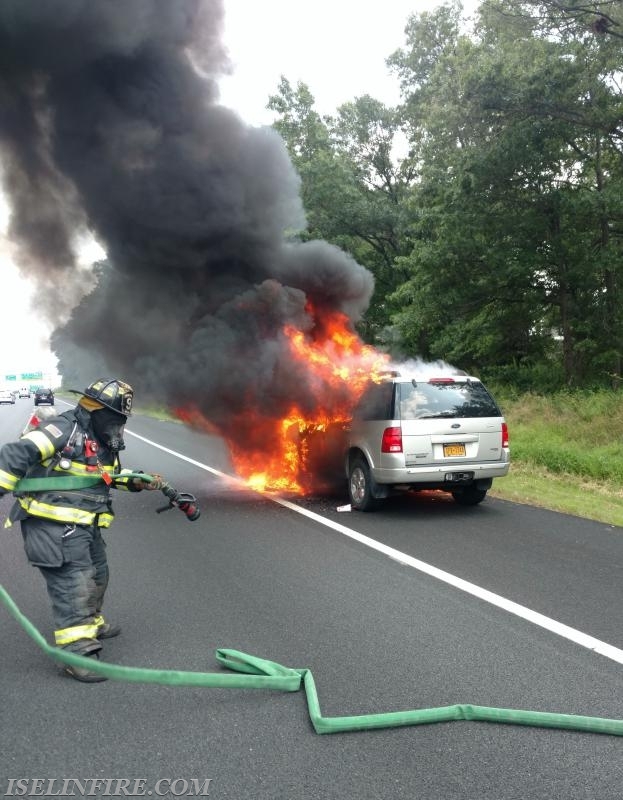 On August 10, District 9 was dispatched to a car fire on the Garden State Parkway South. Upon arrival Deputy Chief Bennett reported a well involved SUV. Squad 9-6 arrived first due and stretched a hand line to quickly extinguish the fire. Two lanes of the Parkway were closed while fighting the fire, causing additional backups of traffic heading south towards the shore. FF/EMT Jeff Joyce stretches the hand line.